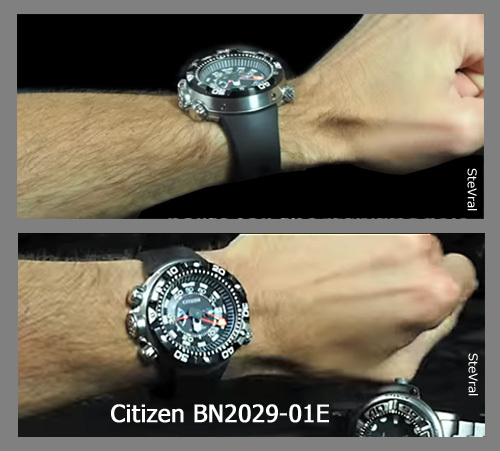 New in the Citizen lineup introduced at the last Baselworld, the ISO certified BN2029-01E is a brute of a watch that is a competent auto start 70m depth meter that will recall the maximum depth and with a rapid ascent alarm. 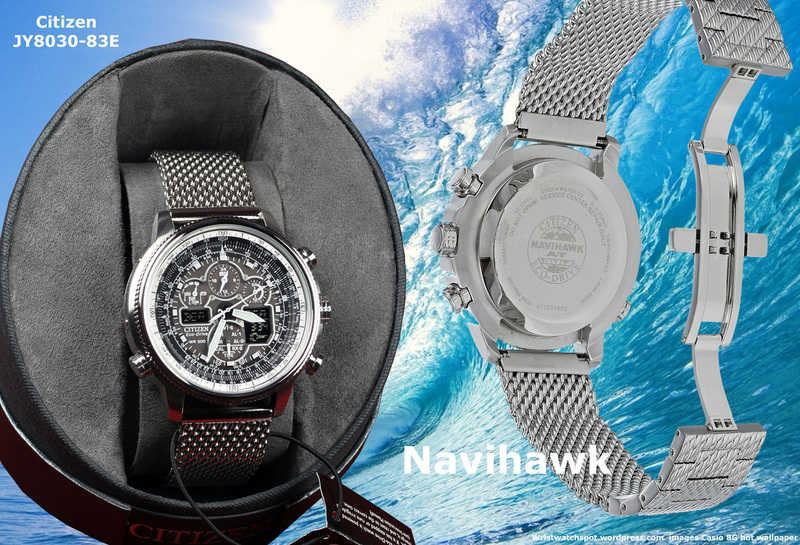 Its watch functions include time, date, seconds, a power reserve indicator (up to 180 days operation on a full charge). and solar charging. The 200m water resistant case is stainless with a screw back and an extra thick mineral crystal. The crown is screw down. It sports a rubbery,comfortable strap and a very flat back for a lay-down fit. It is (Japanese quartz movement J250) analog only and does not have any digital features – nor does it have a backlight. 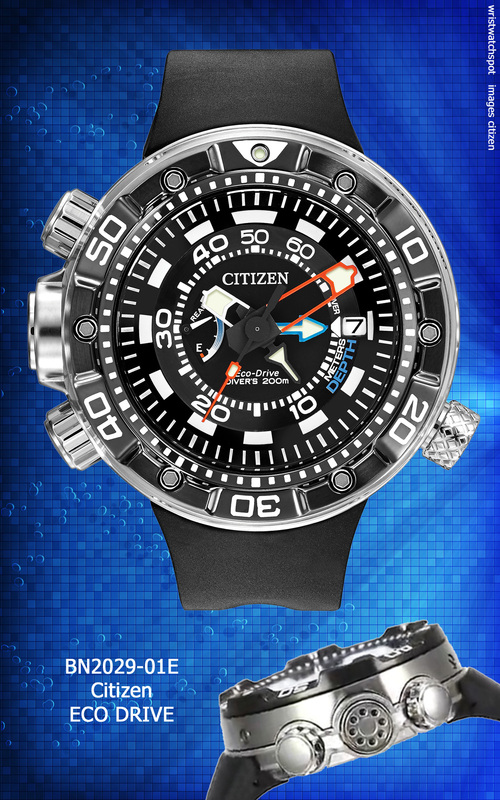 To assist management of dive times it has a no-tech uni-directional rotating bezel similar to most other so-called diver watches. 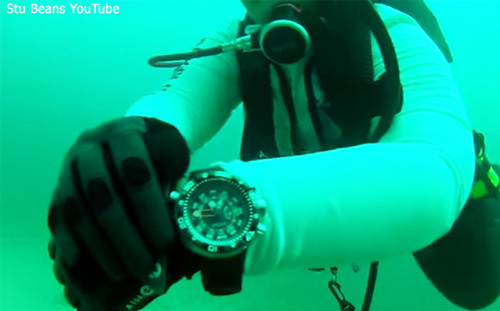 Just how practical this watch is depends on your use of it and what other gear you employ. If you are a diver and only need a depth meter that will warn you of too rapid an ascent (presuming that alll the other air management control is connected to your tanks), then this is the right choice for you. Its impressive build quality, engineering and five year warranty make a sound case for it as a good investment. The reviews by early adopters are very positive. The MSRP is $950, but many of the resellers are selling the watch for under $550. Limited to only 500 pieces, the BN5048-01E (MSRP $2,650) is already climbing in price in the aftermarket. Current offerings on eBay include a “buy it now” for $3200 and used-like-new for over $2000. Cirelli Jewelers has been offering the item for $2250 but at this writing only have one left to sell. 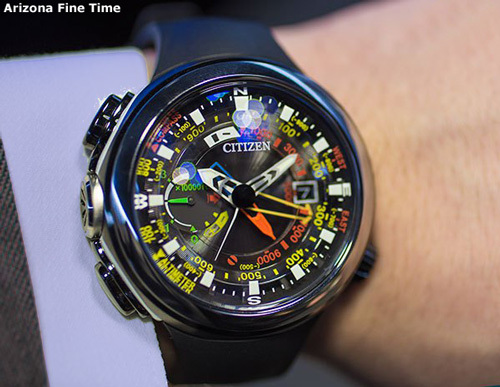 It is a stretch to imagine a Citizen wrist watch as an investable, but this one may have potential if bought prudently. This blog does not recommend it and warns there is a risk that speculation won’t pay off. But it will be a rare piece and a pleasure to own and show off for those fortunate 500 owners who can afford such a toy. Visually, this watch is an explosion of color and strange shapes and markings. It is far from a normal watch. 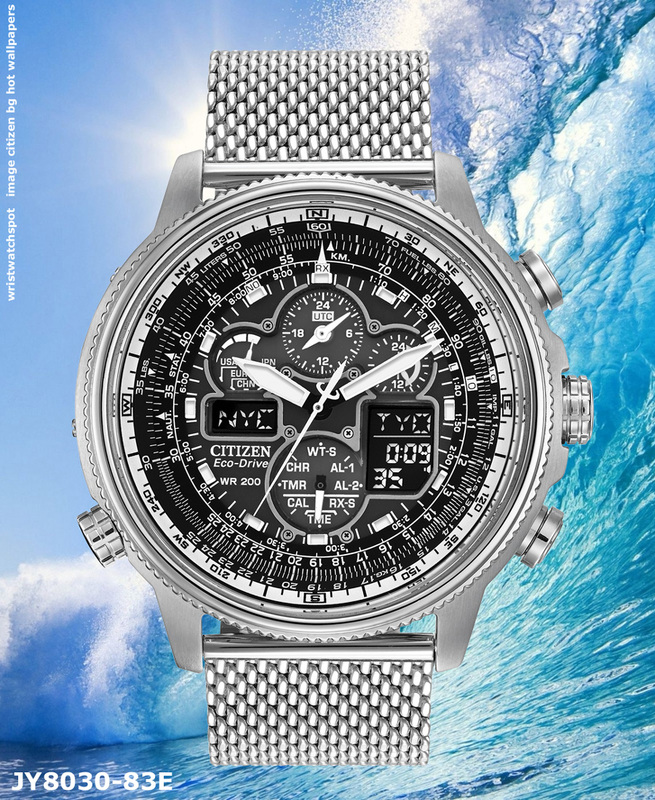 The prospective owner for this piece, function-wise, is for adventure-seeking outdoorsmen who will implement its sophisticated 600m water resistance, -1000 to – +32,000 foot altimeter and electronic compass. 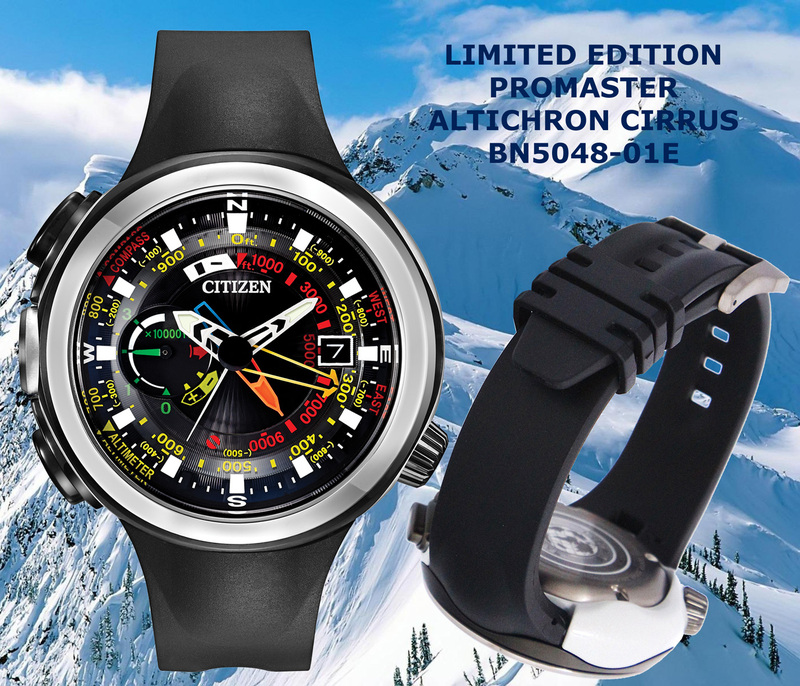 It is huge at 52mm and well appointed with an anti-reflective sapphire crystal, light weight white titanium case and a soft flesible black polyurethane buckle and tang style strap. Arial Adams, over at A Blog To Watch, does an in-depth review of this watch and I would encourage you to take a look. He has gone to the trouble to present a full written review, a set of great pictures and a comprehensive (as always) video clip. And now for an absurdly underpriced product that is selling like crazy – despite its age. 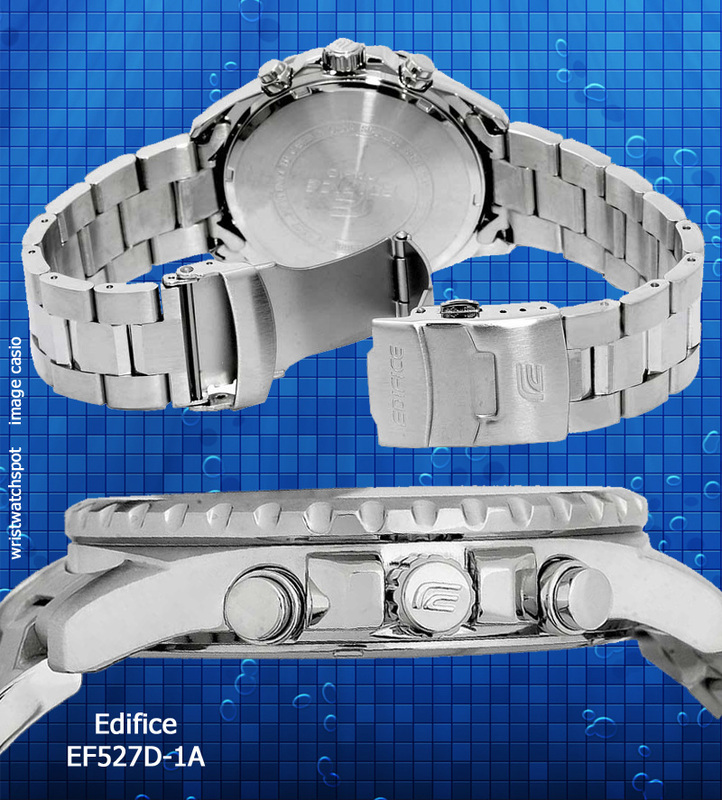 As unlikely as it would seem, in this world of digital, fashion-centric, color-rich, solar powered, radio controlled time pieces, the Edifice slide rule watch, model EF527D has become one of the most popular wrist watches in the world. Granted, the piece enjoys the attraction of deep discount, under $100 price point, perceived high quality, and a rich feature set, not to mention the thick proliferation on the stock shelves of most of the important resellers. It is a handsome product, IMHO, with dense dial markings, a solid case and an upscale bracelet. 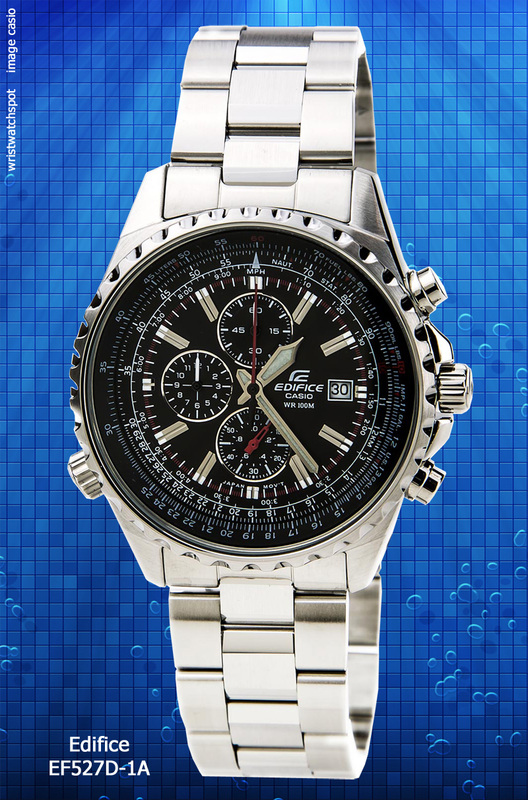 “The bezel on this Edifice is fixed, but it does have an internal rotating bezel/reflector. The reflector and outer edge of the dial have the slide rule scale. “The slide rule is basically a scale based on logarithms, so you can do basic division and multiplication as well as time/distance calculations and such. “My most common use is for quick currency conversions. The internal bezel or reflector is rotated be using the turning knob at the 8 o clock position. The turning action is very smooth, and easy to adjust the slide rule. On the negative side the turning action is much to easy for my preference, and if you like having the slide rule perfectly lined up when not in use, this is not the watch for you. 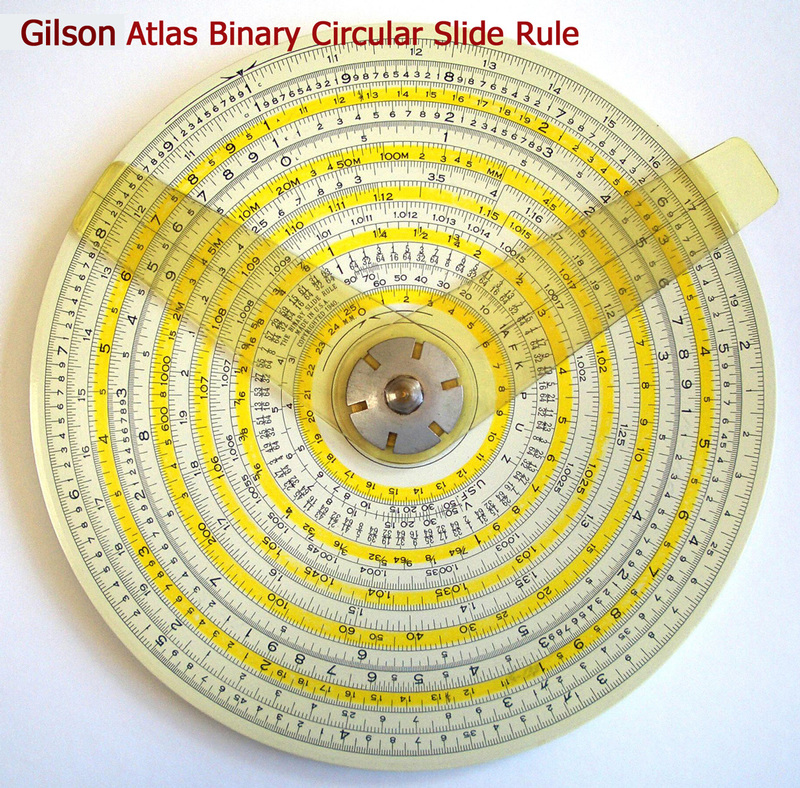 Modern wrist watches that incorporate a slide rule feature are based on the Gilson binary circular slide rule. Here you can see the dial of the Edifice. The dial it self is black and is quite busy like most slide rule watches. As mentioned before, the scales on the dial that run along the edge of the dial are used for slide rule functions. The large red second hand is a part of the chronograph and is therefore stationary unless you engage the chronograph. “The 9 o’clock sub dial is hour indicator for the chronograph, and counts up to 12 hours, a nice feature for an inexpensive analog quartz watch, since they often only have 30 minute or 1 hour chronographs. “The sub dial at the six o’clock position has a double function, it acts as the normal seconds counter for the time keeping of the watch, since the large second hand is only used for the chronograph. When you use the chronograph the 6 o’clock sub dial stops counting seconds and becomes a 1/20th of a second indicator, and it runs constantly for the first 30 seconds, and becomes stationary after that, but jumps into the right place when stopping the chronograph. “As you can see there are actually two time scales on the sub dial, the seconds on the outer scale and 1/20th of a second on the inner scale. 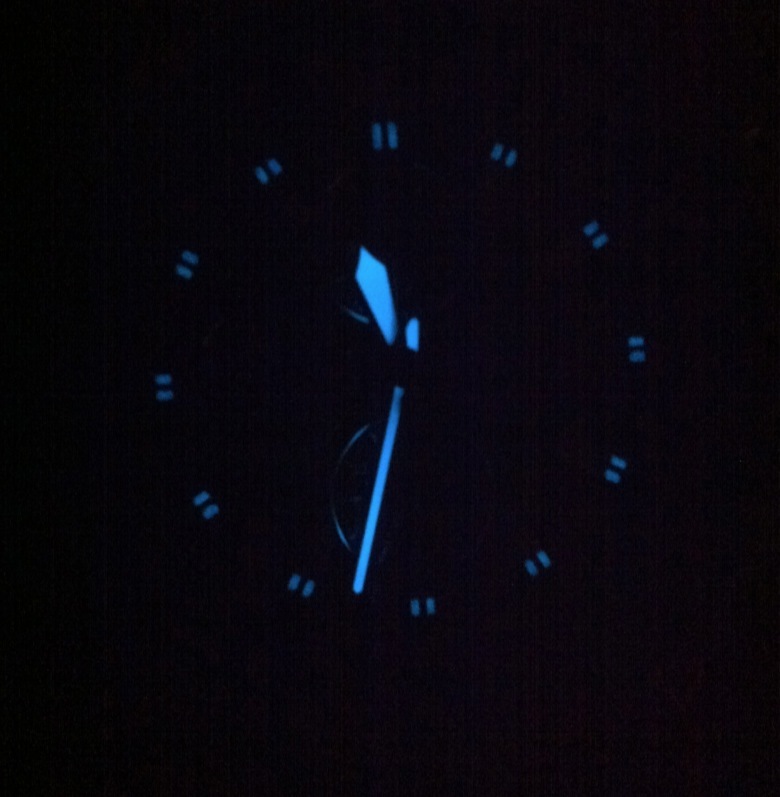 “The lume of the watch hands is not bad at all, and can actually be readable for a few hours after a good exposure to light, the lume of the hour markers lasts shorter, and is a bit weak. Definitely not the worst I have seen, probably about average or a little bit better than average. 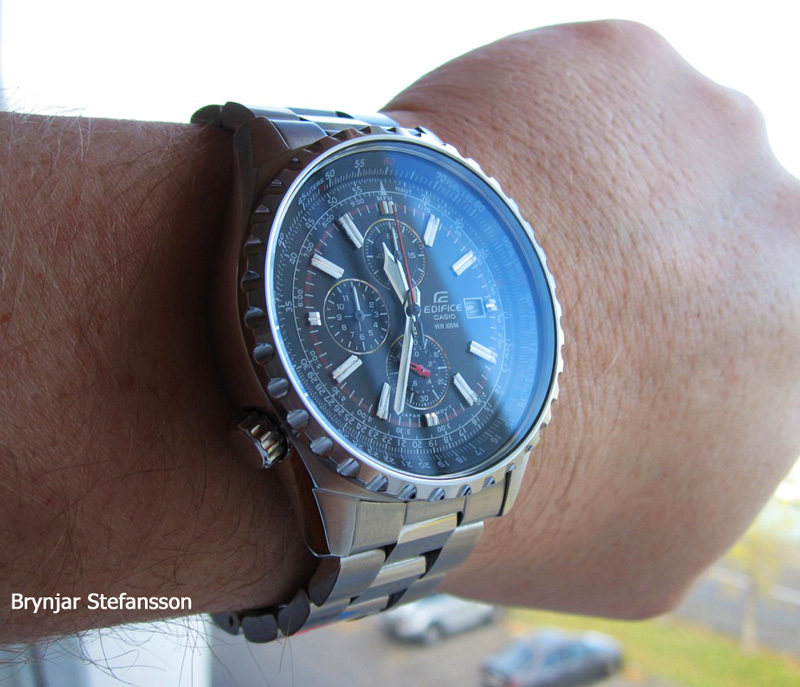 A big shoutout to Brynjar Stefansson for his insightful review of the Edifice watch. Visit his blog to see some of his other great reviews. So, I just took a look and amazon has some of these left and they are selling them for $85.51, shipping included. How can you not buy one? Some of the pictures above can be enlarged by clicking on them – you may have to use your back button to return to this blog post. Please comment, even if you don’t have much to say – and like, even if you hate what you see here. We love likes! Guest authors should get in touch – this is a good place to be, guys. The metrics are good and getting better every day. Your stuff will be read. My SEO is working.